With modern security equipment like deadlocks and immobilisers it’s harder to steal cars than it used to be, but it’s still fairly easy to get in using brute force, so it’s important to keep valuables out of sight. In this list we’ve crunched the numbers and filtered out the cars which thieves tend to avoid breaking into. It’s important to be careful when interpreting data like this so a few potentially anomalous results had to be omitted – specifically those with which model names could be confused. For example there’s a very low crime rate for the Almera Tino model but that’s probably because crimes involving it are recorded against the plain Almera. Click through our gallery below to see which cars do well, sorted by number of instances of ‘theft from’ per 10,000 cars. 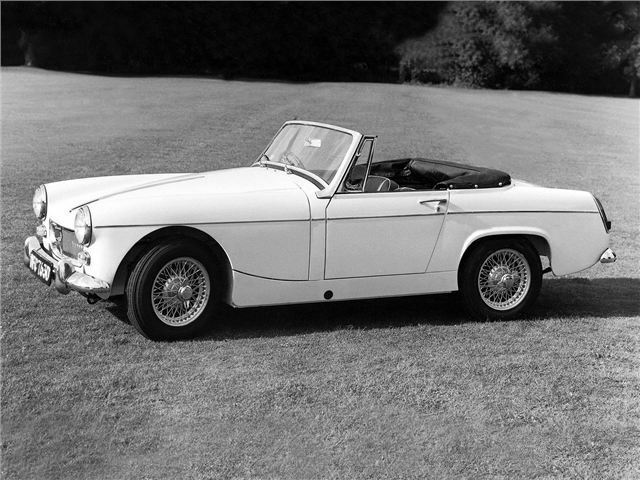 The MG Midget has a very low overall crime rate and this applies to ‘theft from’ too. Classic cars like this tend to be well looked after by owners, kept in storage and out of sight and used occasionally. That means they spend a lot of time away from the prying eyes of criminals. I live in North Yorkshire and recently received a letter from North Yorkshire Police advising me of the fact that a large number of Defenders were being stolen, these theft's were done to fill order's from foreign countries with very poor roads. One defender owner in the village where I live only knew his car had been marked when the Ferry company at Holyhead rang them to ask if they would like to re-arrange the ferry crossing as they had not turned up for the one the vehicle was booked on. By luck they were having a family gathering and the Defender was parked up behind 4-5 other cars that night. Think again about the list ?.